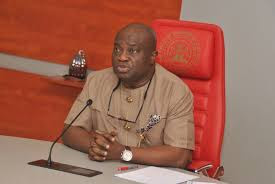 Governor Okezie Ikpeazu of Abia State has directed the transition committee chairmen of the 17 local government areas in the state to appoint two disabled persons each from their areas as special assistants as a way of reducing unemployment in the state. The directive followed an appeal to the governor by the physically challenged in the state, who said they were qualified and could contribute to the development of the state if employed. Ikpeazu who spoke at the Abia State Polytechnic, Aba, during a town hall meeting for Abia South senatorial zone for the people of Obingwa, Aba South and Aba North LGAs, said his administration would carry everyone along. He disclosed that N4billion had been set aside for the renovation of primary schools across the state and assured the people that the fund would be judiciously applied. According to him, under the programme, 10 primary schools are to be rehabilitated in each of the 17 LGAs. According to Punch, Ikpeazu urged youths in the state to enrol in skill acquisition centres established by his government to acquire skills that would make them self-reliant.